Perhaps one of the most iconic symbols of the Roman soldier was his shield, and this Roman Republic Scutum is a faithful reproduction of an impressively detailed Roman shield that any soldier might have carried, either into battle or home in parade. The shield is made almost entirely from fine hard woods, and it features the iconic shape of the classic Roman shield - that of a concave rectangle with rounded edges. Set in the center of the shield is a steel boss. 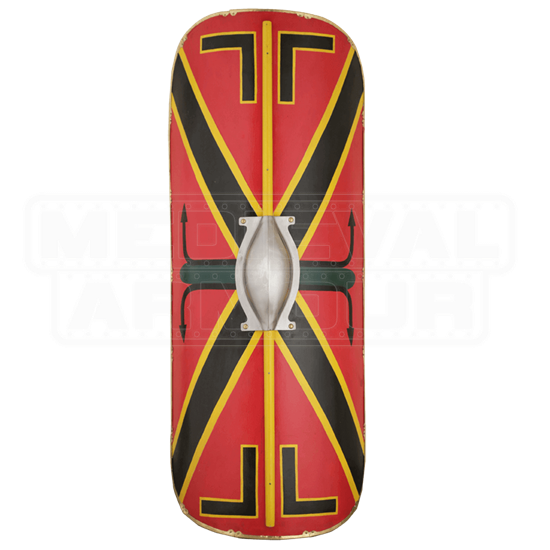 The shield face itself is primarily red, while also featuring a great black and yellow across its face. A central yellow line divides the shield down the center as well, while matched L-shapes are reflected over the shields middle-line division. 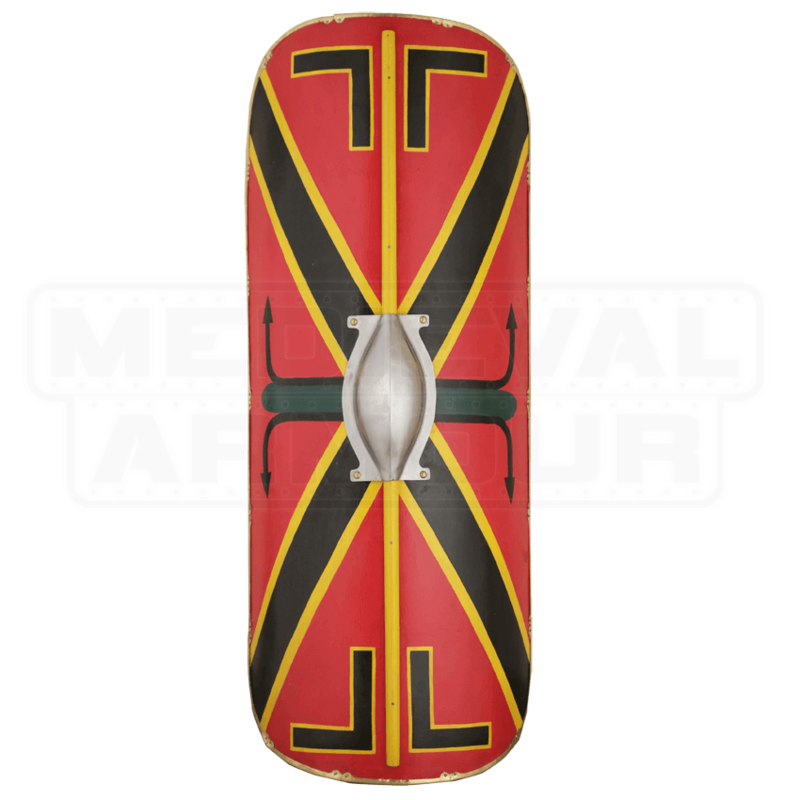 All in all, it is a classic showing of color and design, one that perfectly reflects the look of a shield of the Roman Republic. And indeed, any soldier of Rome, or her modern reenactors, would be glad to have a Roman Republic Scutum like this as their protector, as well as acting as an accent to have hanging on their wall or sitting in their collection, too.